With the end of the calendar year fast approaching, time is running out for you to find yourself behind the wheel of a brand new 2018 Mercedes-Benz model at our Washington DC area dealership. Of course, we’re also eager to make space for incoming 2019 models, which makes now the perfect time to get into a 2018 Mercedes-Benz before they’re all gone! To help you make the move, we’re currently offering valuable lease specials on much of our remaining 2018 inventory. Of course, these vehicles won’t be left in our showroom for long so don’t wait to visit us in Alexandria. 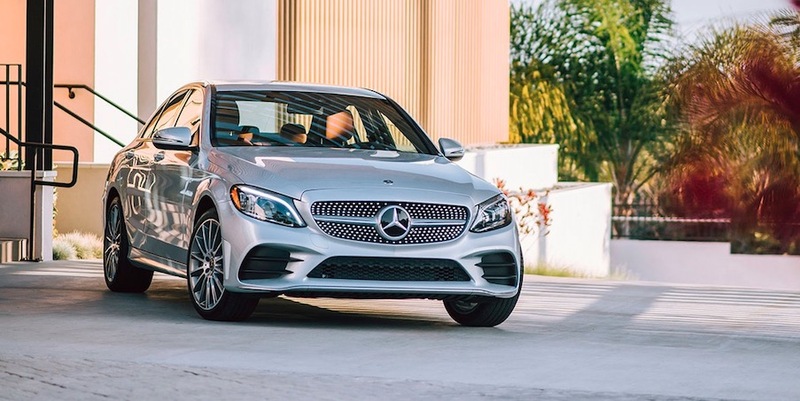 2018 has represented a stylistic peak, with Mercedes-Benz producing many of its most attractive models yet. With sleek lines, sophisticated cabins, and, of course, precision-tuned powertrains, the 2018 lineup is certainly alluring enough to guide many Washington DC area drivers toward our latest Mercedes-Benz specials. You’ll find valuable lease opportunities available on a wide range of models, from convertibles like the SLC 300 Roadster and E 400 Sport Cabriolet to sedans like the C 300 and S 450. Of course, those eager to claim even more interior space will appreciate offers on SUV models like the GLE 350 and GLS 450. With winter on its way, you may have the possibility of snow on your mind. Fortunately, Mercedes-Benz and our latest specials have you covered with available lease offers covering a selection of models with the automaker’s renowned 4MATIC® all-wheel drive system, as well. Whatever you’ve been eager to drive, now is the time to get behind the wheel at Mercedes-Benz of Alexandria. For more information on our current inventory and available offers, be sure to contact us by calling (703) 341-2100 today.